The middle class lifestyle is under threat from stagnant wages, soaring house prices and the rise of robots, top economists have warned. And the pressures facing middle earners mean many have given up hope of a brighter future for their children, they said. The damning report by the Organisation for Economic Co-operation and Development (OECD), which likened the middle class to 'a boat in rocky waters', will raise fears for the prosperity of millions. 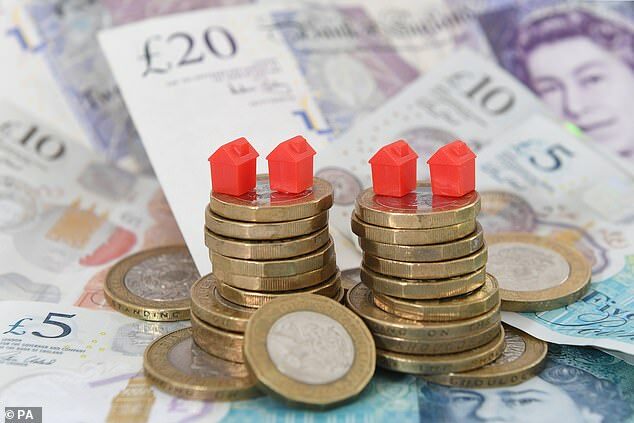 It is increasingly expensive to pay for elements of a middle class lifestyle such as private healthcare, education and owning a home, while middle earners are experiencing 'dismal income growth or stagnation'. 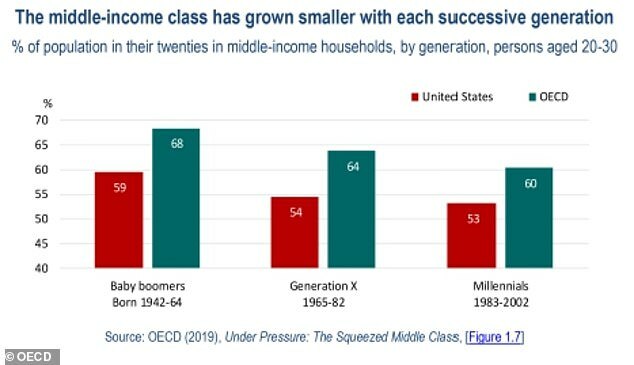 The OECD said: 'The middle class used to be an aspiration. It meant the assurance of living in a comfortable house and affording a rewarding lifestyle. 'It was also a basis from which families aspired to an even better future for their children. 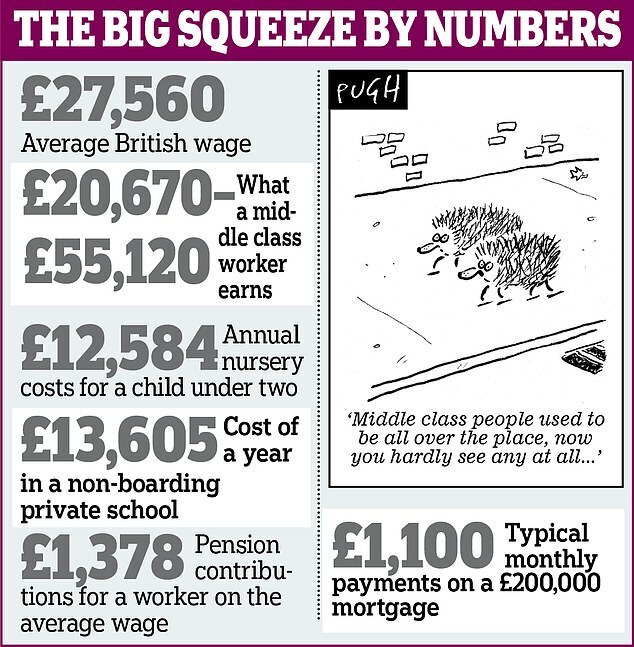 The OECD defines 'middle class' as those earning between three quarters and twice the average salary. 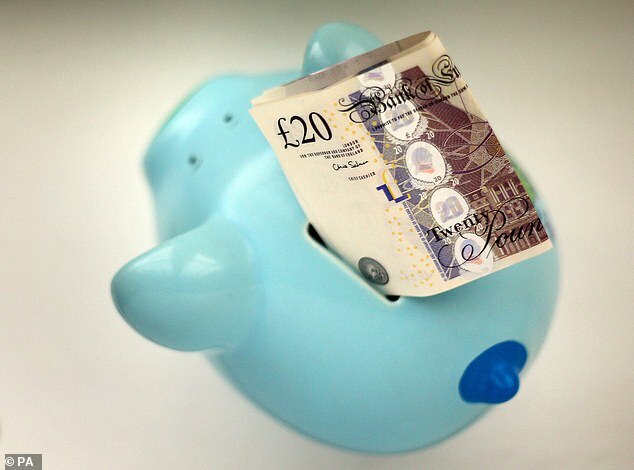 In Britain, this means a worker paid between £20,670 and £55,120 – or 58 per cent of the adult population. The study, which looked at advanced democracies across the world, said that middle earners have not done as well as those at the top, with average wages rising by a third less than those of the richest 10 per cent over the past 30 years. This has been worse since the financial crisis, with average pay growing just 0.3 per cent a year compared to 1.6 per cent in the 1990s and mid-2000s. Meanwhile, private health and education costs have risen by far more than inflation, and house prices have surged three times faster than average wages in the last three decades. 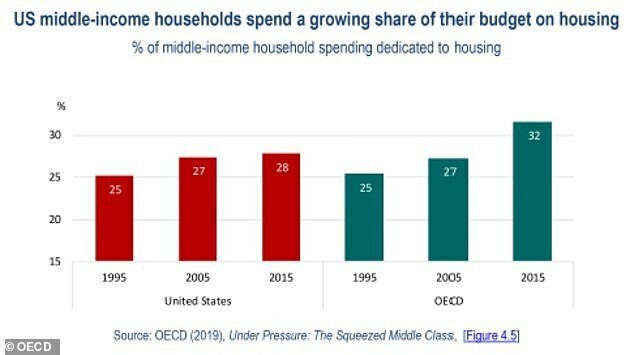 More than one in five middle income households spend more than they earn, and mid-earners are more likely to be heavily in debt than those at the top and bottom of the scale. 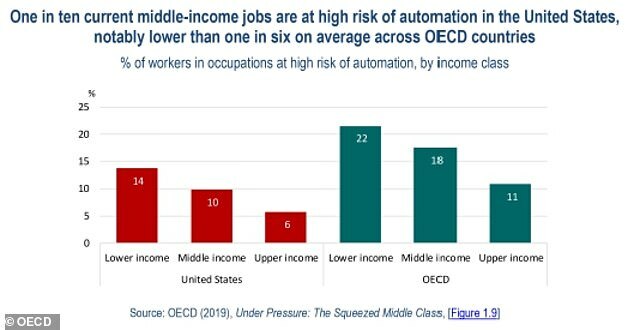 And the jobs of 12 per cent of middle class earners are at risk of automation. Meanwhile children are less likely to follow parents into becoming middle class. Around 63 per cent of the baby boomer generation born between 1942 and 1964 is middle class, dropping to 59 per cent of those born between 1983 and 2002. The OECD said failure to tackle the problem could also damage democracy as furious voters turn to extremes or become politically disengaged.